Planning the burial of a loved one is usually not an easy affair. This is due to having to deal with the grief of your loved one dying, in addition to making funeral arrangements. In order to ensure that your loved one gets a dignified final send off, you must be informed on how to organize the whole burial process. You will need to choose a morgue where the deceased's body will lie and be preserved as you organize for their burial. Choose the most affordable morgue that will provide you with quality services. You may want to consult other family members before making this decision. Handle any paperwork that is required, especially for legal purposes. This includes getting a death certificate and a burial permit. You will need to know the deceased's personal information to help you go through the burial process smoothly, so compile all this information right from the start. 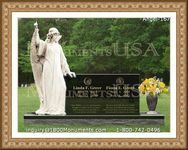 Decide how your loved one will be interred. They can be buried, cremated or entombed. This will depend on what your loved one would have wanted and what their religious beliefs were. You also need to decide where the disposition will take place. 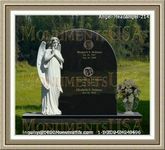 This can either be in a public place or in private property owned by the deceased or one of the family members. Contact a clergyman or religious leader and organize for a memorial service. This is necessary as it helps to provide closure to people who were close to the deceased. It helps the family and friends remember the person in a positive light. 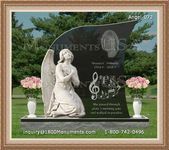 Keep costs in mind when making funeral arrangements. Having a budget will help you to allocate the available resources well. To help offset some of the burial expenses, consider asking for contributions from close friends and family members. Have a representative who will act as a contact person during the whole burial process. This will help people know who to go to in case of any issues.